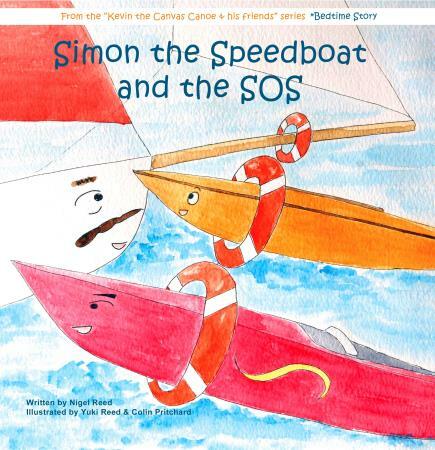 Children`s Books, Cards and prints : The author and illustrator (Nigel and Yuki Reed) of the books in the Kevin the Canvas Canoe and his friends series set up the topsails.co.uk website as the prime source of distribution for their books for children, greetings cards, fine art prints and other artworks. Simon the Speedboat and the SOS, Mucky Water Mystery and Sailors Surprised, introduce children to a nautical world through the adventures of anthropomorphic characters – Yasmin the Yacht, Robert the Racing Dinghy, Kevin the Canvas Canoe, Willie the Working boat, Tim the Tender, Marmaduke the Motor Cruiser, Tom the Tug etc. Primarily designed to entertain – with full colour illustrations on every printed page, they also introduce children to a world afloat and have a light allegorical message. This website facilitates retail purchases from the Topsails.co.uk range. You can pay with your credit card through Paypal. No need to input addresses - Paypal provides this information to us. If items are marked out of stock we can still supply them - it just will take a little longer than the week allowed for delivery by Paypal. So send us an email and we will arrange a re-stock for you.